Yes, just stop saying it. But we need to remind ourselves that three words are often not enough. My kids love to hear it for sure. I also know, alas, that those three words often do not generate a deeper reaction these days. Sometimes they are not enough. These three words are more like a habit. Just like the question you get asked by the guy behind the counter when you order your beverage. "Would you like anything with your coffee?" It's there. He said something. I didn't register it in the moment. But you don't really think about it. These days one "I love you" can mean ... brace yourself ... almost nothing. Well, it can mean nothing ... if we don't put the meaning into it. Remember: three words may not be enough. Don't think that a message was received just because you delivered it. We are not mailmen, we are not in the delivery business. Your daily I-love-you's have become a routine. Your kids will no longer hear it, your words become background noise. If you want your message to be heard, my message is - enrich your love through reading aloud together. But, there was one other category that I knew had to include in our home library. Those that directly addressed the issue of parent-child bonding and love in a light, yet profound way. 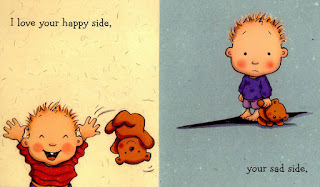 One of the first books I read on this topic to our kids is a fabulous soft-padded board book named I Love You Through and Through . This book penned by Bernadette Rossetti-Shustak is a marvelous example of a simple, loveable and charmingly illustrated picture book that grows with you and your kid as (s)he grows older. It is an earnest and positive book, never rejected by my kids at read-aloud time. They love to hear about my love for them. It is not wordy, but it speaks directly to their pure souls. We read it when they were two years old. We read it when they were three years old. We also read it now that they are four-years old. It's fun for all involved. The book is a deeper I Love You, instead of a 3-second version. My kids adore to hear me reading aloud about the specific ways that I love them. The illustrations by Caroline Jayne Church are so full of expression, they bring a smile to our face every time we read it. I Love Your Through and Through is straight up to the point and with a twist of fun. And that is precisely what is needed sometimes. No implied and long-winding messages here. Being specific helps your kids really understand the depth and richness of your relationship, compared to generalized expressions of love given day-in and day-out. I love your top side. I love your bottom side. Every page has a cute picture of a young boy carrying a teddy bear and they both try to act out the words that are being spoken. 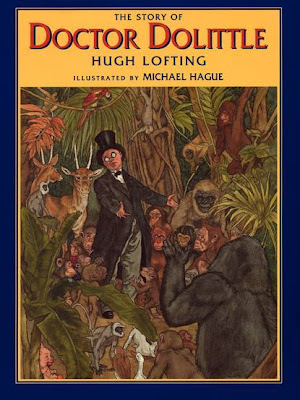 What happens EVERY time when we read aloud this book? My twins catch on with the main character and his teddy and they spontaneously act out everything that I love about them. They show me the depth of our love. They know I love it all. This is a love that my twins understand better - a comprehensive love. I could never explain that in a rote declaration of love in three words. To strenghten that connection, you need to get specific. A children's book can help you be specific about your love. Show your kids how and how much you love them. And they will adore you back. Do you love creatively enough? Let me rephrase that ... do you really read together books about love? Love is soul food, yet it is sometimes implied and not confirmed often enough. Don't say your I Love You's the same way, day in and day out. Start reading your I Love You's in a million different ways. 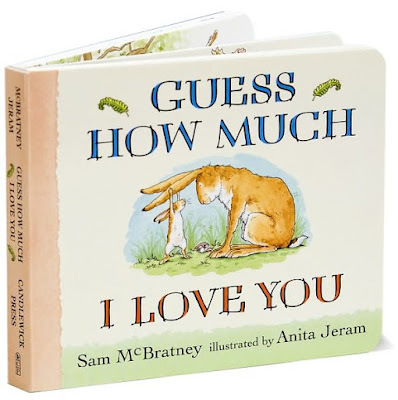 Another incredible book that will help you explain your feelings to your little pumpkins, is Sam McBratney's classic Guess How Much I Love You . 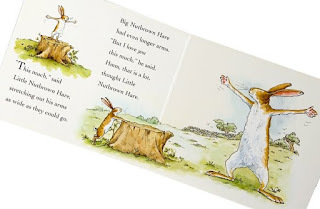 As the reader, you will be the witness of a witty exchange between Little Nutbrown Hare and Big Nutbrown Hare who attempt to outdo one another in their declarations of love for each other. The illustrations by Anita Jeram have a classic feel about them, I do not know why - but they even remind me a bit of Beatrix Potter. The story is a hilarious verbal duel between a little hare and his bigger friend, who are trying to quantify their mutual love verbally and with wild gestures. "Little Nutbrown Hare, who was going to bed, held on tight to Big Nutbrown Hare's very long ears. He wanted to be sure that Big Nutbrown Hare was listening. "Guess how much I love you," he said. "Oh, I don't think I could guess that," said Big Nutbrown Hare. out his arms as wide as they could go. Big Nutbrown Hare had even longer arms. "But I love you this much," he said.Hmm, that is a lot, thought Little Nutbrown Hare." The book goes on and on in a friendly rivalry, as the two hares invent new and new ways to express their love. If two hares have time can think about how much they love each other, isn't it time we also stopped to think for a moment. Let's find other ways of relaying our message. Instead of muttering "I love you" in 1.5 seconds, let us take 20 minutes to say it by sharing a book about our feelings. We must help our kids know that our love is much more than just three plain words. 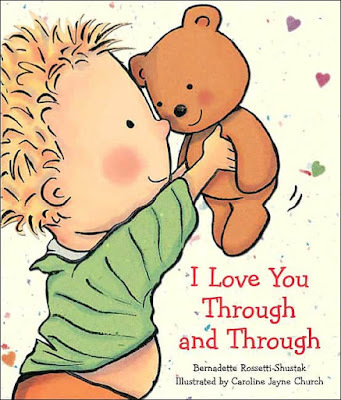 I Love You Through and Through is one of our favorite read alouds for my 2 year old son. The slow paced lines and soft illustrations, I think, are perfect for reading before bed. I liked your message about sharing love deeply, well said! It makes me so happy to hear that you love "I love You Through and Through". Simple book, but deep message and not preachy. As you say, perfect for reading before bed! Indeed, and the good news is that we can all take a cue from books (if we don't know how to say it in a different way)! As DrJulieAnn said in her poignant comment: "Books do a fine job of speaking for us when the words just don't seem to come out on their own." Sometimes, it is not easy to say something new, but one can always pick up a new book! So true! It's important to show (and not just say) your love to everyone in your family, at any age! "Books do a fine job of speaking for us when the words just don't seem to come out on their own." Indeed, I think that this one of the most important function of books - they verbalize many of our thoughts and ideas in a form that is both stimulating and understandable. They are like a springboard for our minds. The story about reading Love You Forever at university and especially at your father's memorial service - was really touching and valuable for me. I always felt that I would love "Love You Forever", despite the criticisms of the book from some readers. The criticisms never resonated with me (although I can understand it is probably not everyone's cup of tea). Now, I know it will be a great addition to our home library. It's on our "to buy" list, after reading your comment. Great post on how to go deeper than just saying "I love you!" I've heard that people either love or hate "Love You Forever." I used to actually read it out loud to my human development students at the university on the second day of class (I started the semester with death & dying instead of conception like most profs do). It was a great way to discuss the life cycle. I was asked to give a eulogy at my father's memorial service. I was at a loss of words so I simply read "Love You Forever" Sometimes I choked back the tears and other times I just let them flow as I read the words. Books do a fine job of speaking for us when the words just don't seem to come out on their own. Thanks for these excellent book tips Brenna! I adore receiving family-tested book recommendations, especially on a beautiful topic like this one. All of your tips sound great, I don't know where to start browsing. Oh yes, I'll start with Little Raccoon's Big Question. 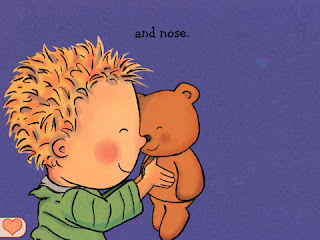 Wow, it has got great illustrations from what I see and a great message of unconditional love! Lovely ... off to check out the other ones. I need to add one or two more books on the topic of parental love to our home library. You saved me a lot of time with this list, thanks a million! I have always loved Guess How Much I Love You. There are so many that have a theme of love that I always want to read to my little ones. I always wonder just how much they recognize in the stories though? Yes, in our busy lives, we often find ourselves forgetting that our love is more complex than a mere statement of love. You make a great point about kids who do not hear the words often enough - and that is such a big problem! I am happy you love the books as well, it is so great that we can share our love in many beautiful ways with our little ones. Many thanks for you great comment! I love your reminder that rattling off those 3 words isn't enough. It's nice that we say them often enough that they become common (there are so many kids who never hear them, after all) but we need to remember to follow those words with actions that make the meaning REAL. Adorable books. With the first one, I think the rhythm and repetition is really appealing to kids. Thanks for your very very kind words PragmaticMom! Re: @2f04fd44b02f5004c4fadc411b33b1aa PS I'm sure you really need no reminders - you are a big inspiration for parents around the world, take it from me. These are such lovely books. I love how you take the time to smell the flowers and really connect to your twins. A reminder for me, for sure! Don't tell me there is even a board game! Wow, that now sounds like serious family fun! Thanks for letting me know - I'll be looking for the board game too. Love your post!! So true. Love You Forever is top of my list of Kids favorites! We even have the board game. Thanks for the excellent book tip. I've heard so much about Love You Forever (people that adore it and people who don't like it so much). Not many opinions in the middle! I have a big treasury of Robert Munsch's stories - and my kids adore them. So do I.
I need to find the book - to check out all the buzz! Thanks so much for taking the time to leave the book tip! Thanks for this fabulous book tip, Lisa! Oh, I must check it out this week - my kids love stories like that! My kids and I have a great time with the two books you mentioned. Another one along the same lines that is very popular (but doesn't resonate with me) is Robert Munsch's "Love You Forever." "I Love You, Stinkyface" is another fantastic selection that shows all of the ways that a mom loves her son, even if he is a super-stinky skunk or a swamp monster...we love it- and our almost nine year old still enjoys being read to at bedtime with our five year old. It is great to hear that you share a similar experience with the book! As you say it is wonderfully interactive - kids just cannot resist showing off the things they see or acting out the feelings that are described. 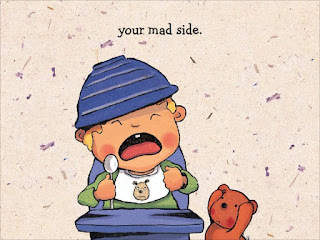 It is ... dare I say it ... a deceptively educational picture book too! I positively adore "I love you through and through." Not only does it do all the things you say but it was a wonderfully interactive book whereby each of my sons as toddlers would proudly point to all the parts mentioned in the book. I'm so glad this book is a part of my special memories with each of my sons! I'm 100% certain you will have a great time with baby bookworm telling her how much you love her! And she will have an even better time showing you every part you love! Hope they send them ASAP! If I had the energy to do crafty things, here's an album I would create: I would make color copies of each page of ILYT&T and find (or take) a picture of my kids to doing what is described, and then cover up the book's illustrations with my own photos! That is a splendiferous idea! If I tell this to my kids, they will go wild about it!